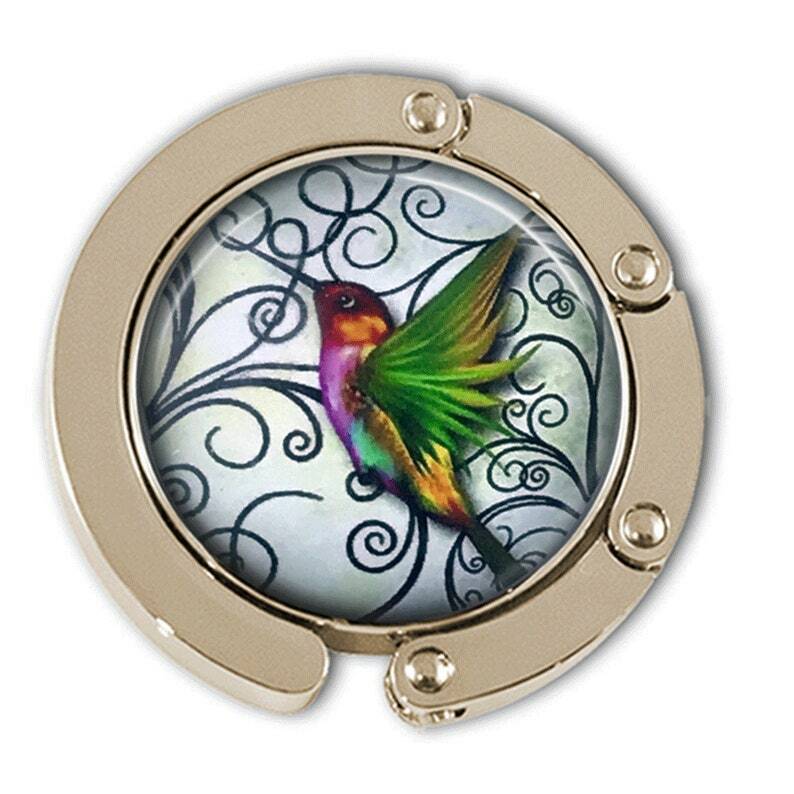 This purse hanger displays a gorgeous hummingbird under a photo glass disc. The purse hanger is useful when you go to a restaurant. 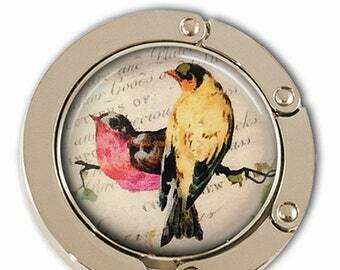 You can hang your purse onto the metal hook, and then lay the decorative top on the table edge. It balances there with the purse hanging on it. This keeps your purse off the floor and right by your knees. The back of the purse hook that lays on the table is a black matte substance that gives the purse hanger enough traction to stay where you put it and does not scratch the table surface. The item is nickel-free and lead-free. This will fit on a table up to 1 1/2" (3.81 cm) in depth. My purse hooks come with a royal blue velour pouch to store it in your purse when you are not using it. The diameter of the decorative round portion is 1 5/8" (4.13 cm) and the diameter of the entire piece when it is closed up is 1 3/4" (4.44 cm). 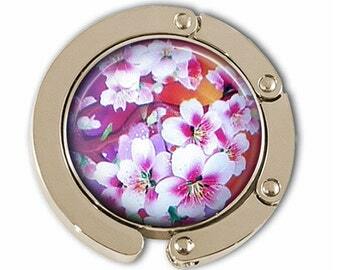 Should you have any questions about this item, or if you would like a custom made purse hanger, please contact me. I am always happy to assist.